Have you ever calculated the number of meetings you have to attend in a day in your place of work? 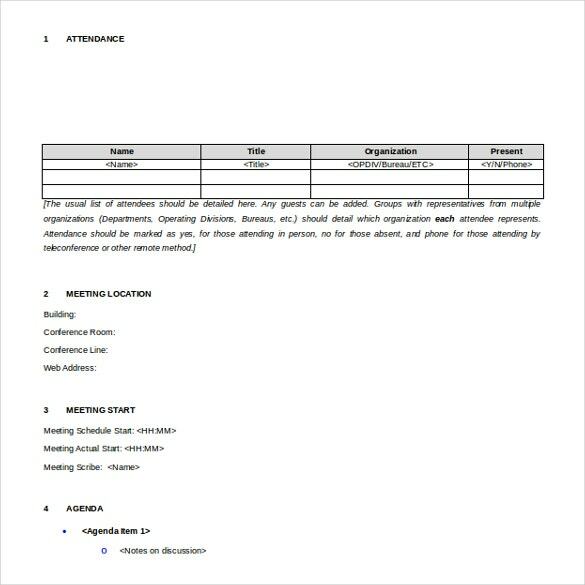 If you have attended quite a few, you will know that in important meetings, a person is put in charge of writing the minutes of a meeting. 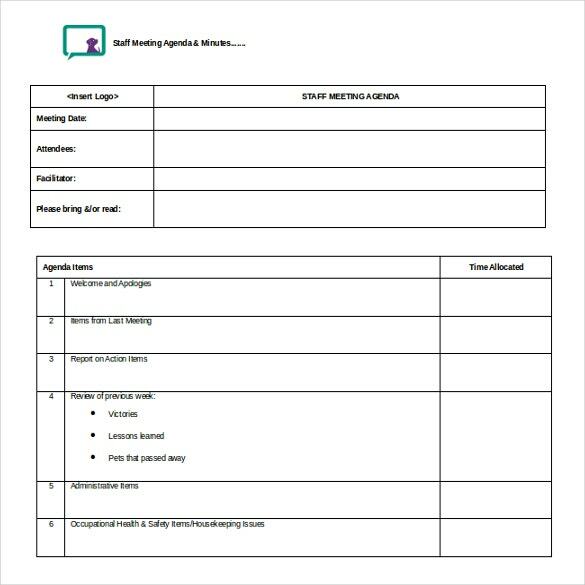 The whole purpose of a Meeting Minutes Template is to discuss important items, agendas, highlight certain problems and come up with solutions to them. All that is covered in the meeting needs to be recorded for future reference. 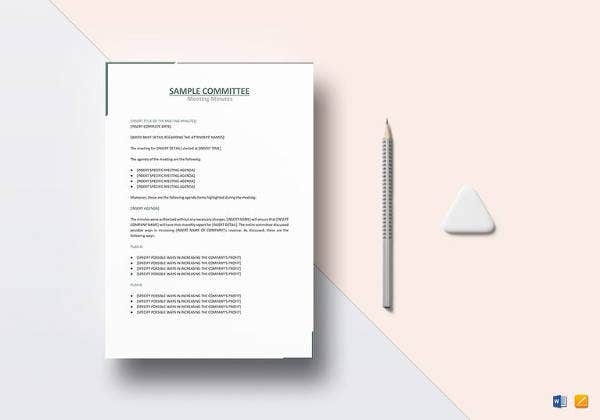 Writing minutes of a meeting refers to this act of covering all that is discussed in the meeting.With several meetings taking place on any given day, it can become quite tedious if you have to create fresh minutes every time there’s a conference. Wouldn’t it be better if you could have one sample, and use that to create Minutes Template each time? Well, that is now possible with the help of minute template samples. You can easily download one, and edit it to suit your needs. 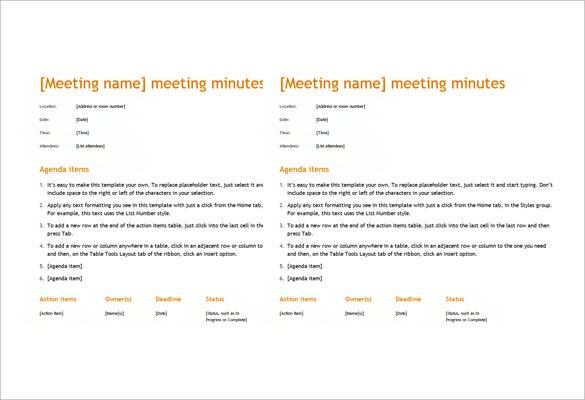 Meeting minutes– A meeting minute will cover all the important aspects of a meeting. 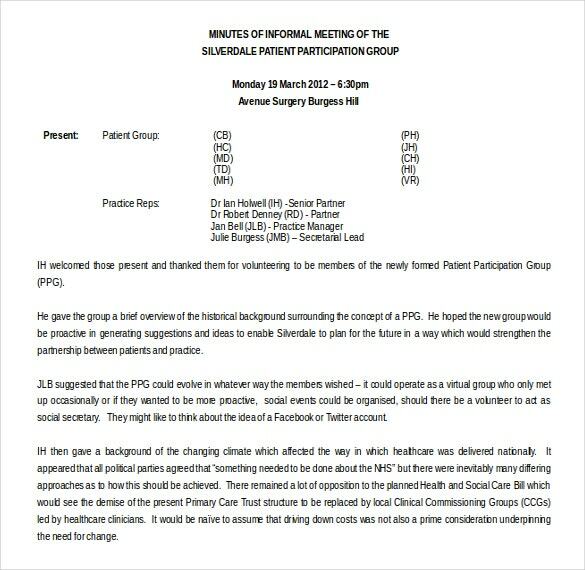 It will consist of the agendas discussed, the points covered and the decisions taken in that particular meeting. Each meeting will have a separate minute. 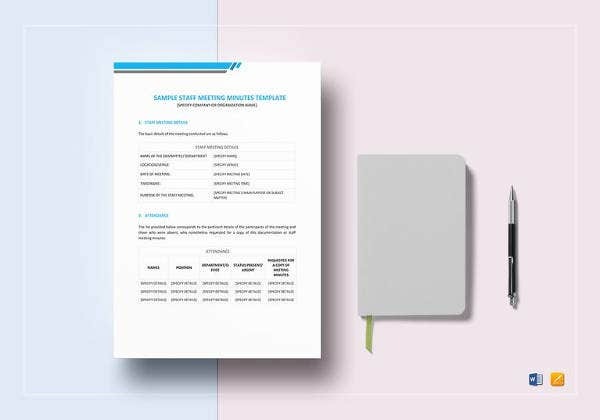 Business meeting minute– Usually a secretary or an assistant is placed in charge of this. 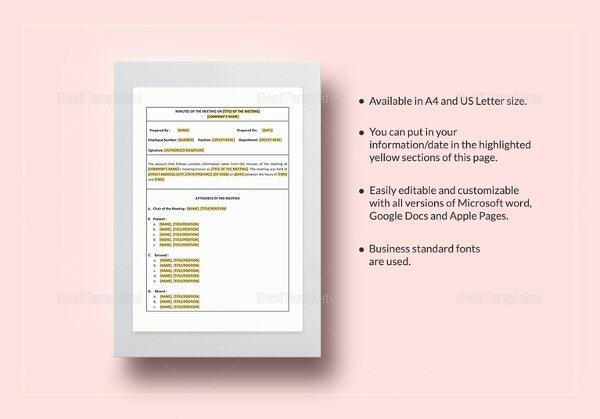 He or she is expected to note down all the Business Meeting and proposals, and create an official document out of it. 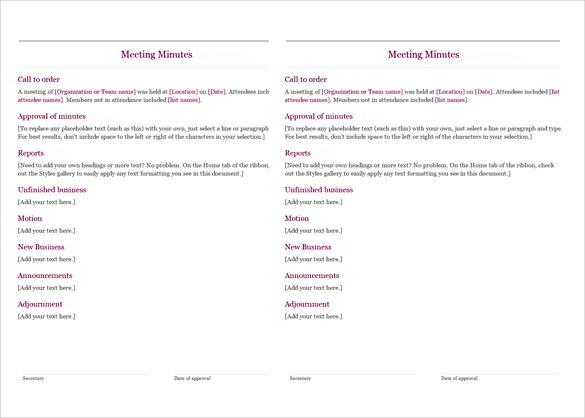 Club minutes– Club Meetings Minute are regulars at all clubs. In such meetings, the agendas of the club regarding its functioning are discussed. All these points are to be recorded in the form of minutes. 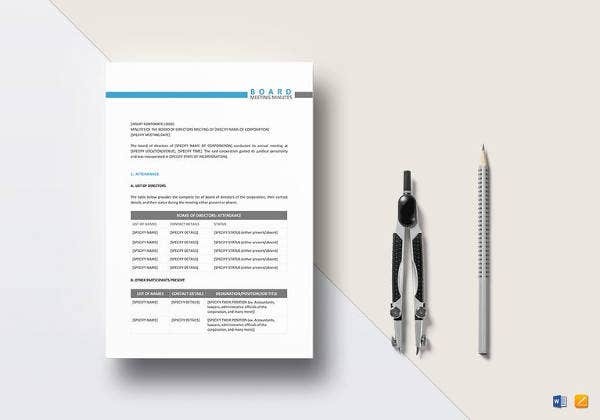 > Why Should You Use Minutes Templates? While writing minutes, you have to be on high alert so that you don’t miss out on anything. Now if you have to emphasize on the layout of the minute, you will not be able to pay much attention on the content. That is precisely why you must look up minute Templates in Word. 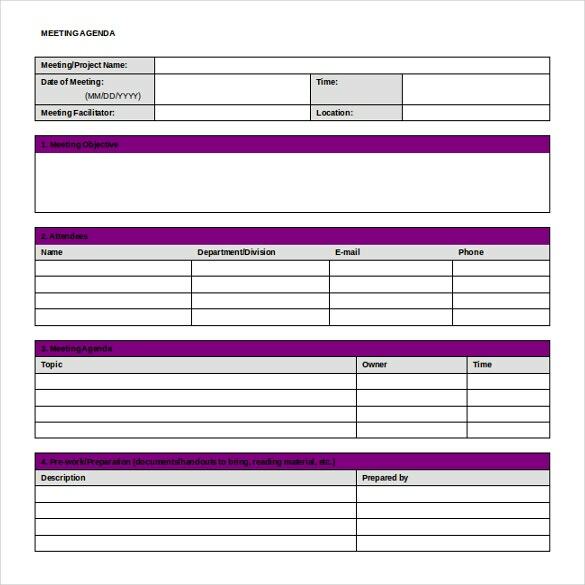 These have a well organized format and all you have to do is fill in your details. 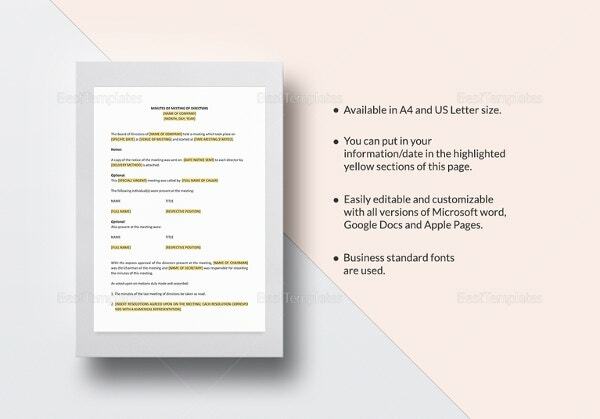 You will have ample space to include all the important points in the minute templates for word. So what are you waiting for? Try one out now! 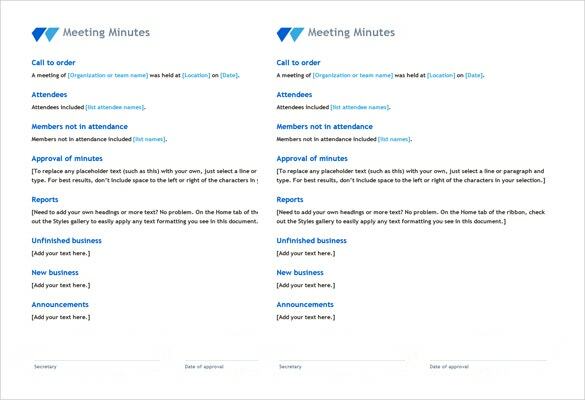 > How to Write Minutes of Meetings? 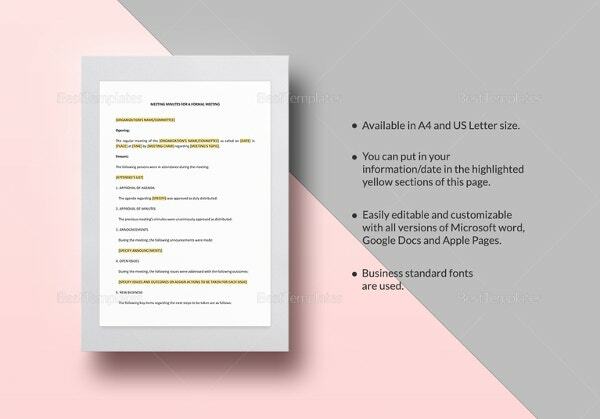 You must have a well designed template which allows you include all the details you want in the minute. 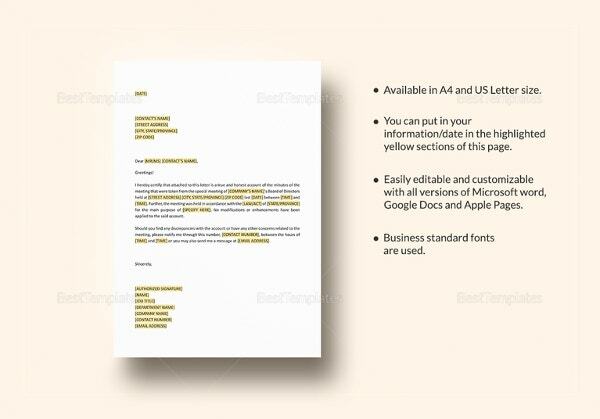 More than the design, you should make sure that it has ample space for you to use MS Word. You cannot afford to miss out on important points. To write minutes effectively, you should be able to note down items as fast as possible. This is a skill that few possess. Do not use short forms or abbreviations in the minute of meetings. Try to keep it as simple and neat as possible. 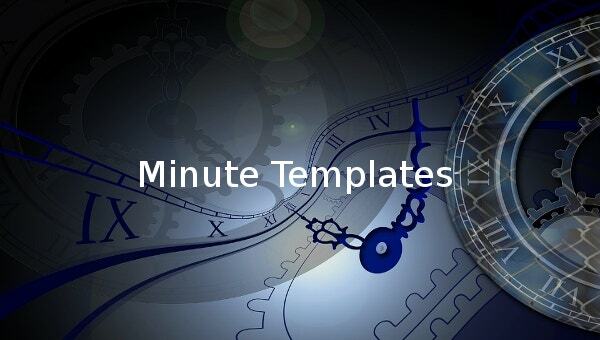 Planning to download minute templates? Then you must pay a visit to template.net! 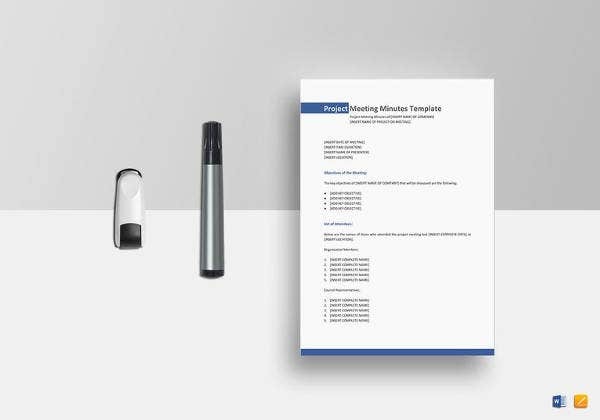 Club Meeting Minutes Templates – 9+ Free Sample, Example Format Download! 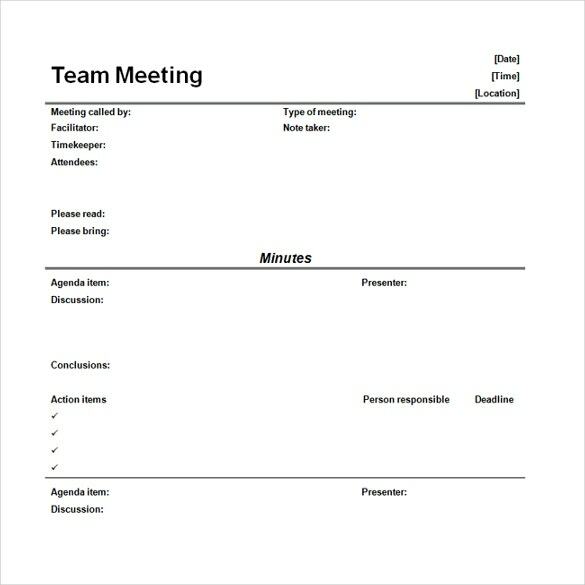 Project Meeting Minutes Template – 12+ Sample, Example Format Download!